T his was not an easy decision. I grew up in a fishing family and, even now, nieces and nephews still make yearly migration to Alaska to spend the summer on fishing boats. 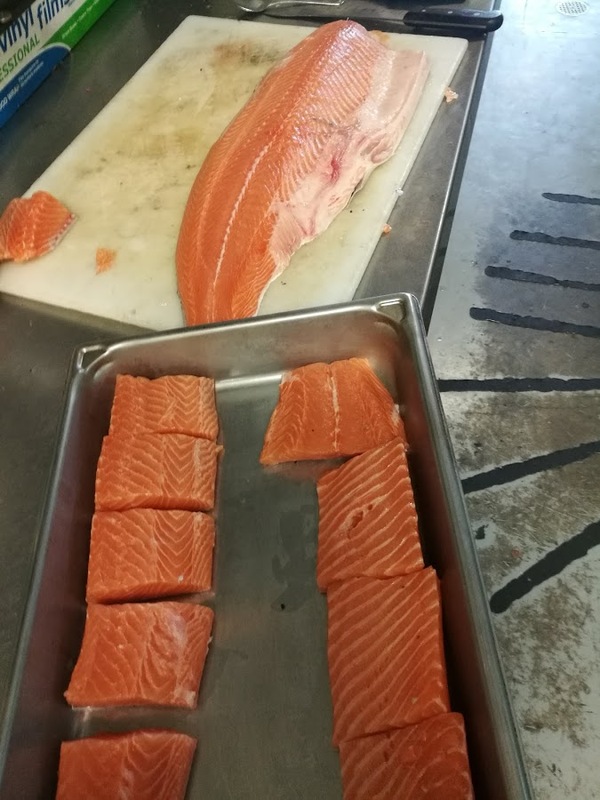 I’ve seen the bumper stickers declaring that “friends don’t let friends eat farmed salmon.” So I told myself that if I was going to serve farmed salmon at my restaurant it would be only when the wild product was not available and it would be the best aquaculture product available: Creative Organic King salmon from British Columbia. I’m not delusional, this is not wild salmon. 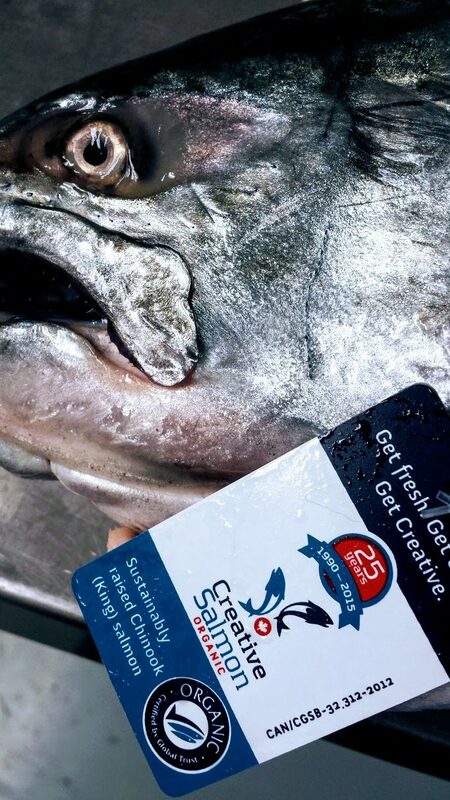 The muscle tone that’s developed by the salmon evading sea lions and other predators in addition to swimming across the Pacific ocean is not what we find in farmed salmon. But the care taken in the whole operation made this the best possible choice. We buy our salmon whole, head-on and It’s up to me to turn this into servable portions. Honestly, I enjoy filleting salmon. I’m taken back to the many summers spent on fishing boats. High school days found me rocking and rolling in a troller along the Washington coast from Neah Bay to Ilwaco. College onwards, I fished on gillnetters in Southeast Alaska between Ketchikan and Haines and lastly a few seasons in Bristol Bay. Filleting salmon takes me back. After the bones have been removed from the fish, the fillet is cut lengthways and divided up into 6-7 ounce portions. The portions are brined and then alder wood smoked (the wood used by many of the coast native peoples). Finally, we finish the salmon on the oven, plate it and, finally, out it goes to the customer. Purchasing superior quality salmon whole, processing it in-house ensures that every step along the way to the table is carefully controlled. The result is a superior, unique plate reaching the customer.